The Nuremberg-based drive system specialist Baumüller is expanding its DS2 servo motor series with increased speeds and an expanded power range. These innovations are ideally suited for applications in the plastics and rubber industry, as well as for printing, forming, and textile machines. With the new increased speed, the compact DS2 servo motors achieve up to 5,000 rpm depending on the size. 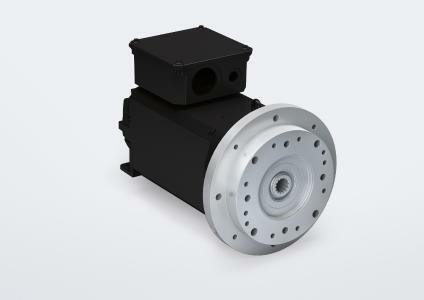 Baumüller can therefore further increase the nominal power of the motors in this series with water cooling or optional oil cooling. 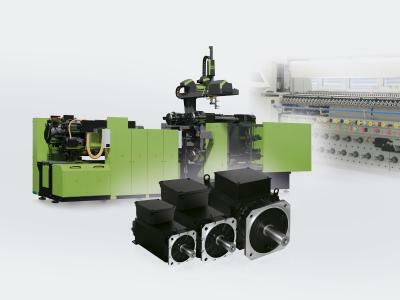 With the higher speeds, the DS2 servo motors are ideal for use as servo pump drives in injection molding, rubber and forming machines, and as main drive in printing and textile machines. With the increased nominal speed, the DS2 offers maximum torque that is available across a broad speed range, thereby improving acceleration. This achieves shorter cycle times and increases machine productivity. The power increase resulting from the speed increase leads to optimized dimensioning of the motor transmission and n improvement in economic efficiency. The internal splined shaft is another innovation to the servo motors of the DSC, DSP, DSD2, and DS2 series. This interface version does not require any other costly transmission elements, such as couplings or pump supports. It therefore saves costs and optimizes installation space. This is offered in the sizes 100 and 132 for DS2 motors. The three-phase current synchronous motors of the DS2 series are designed with a very high power density, a very high degree of efficiency, and high dynamics, therefore making it ideal for the most demanding applications in mechanical engineering. The motors are currently available in sizes 100, 132, 160, and 200. 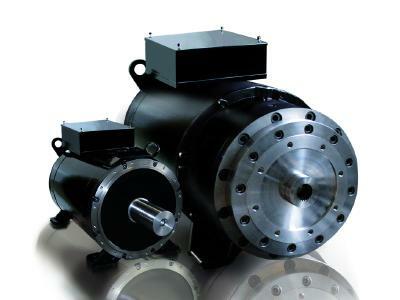 The robust and compact motors are also largely maintenance-free, which is an added bonus for economical operation. Using the liquid cooling system also leads to a very compact design and greatly reduces noise emission. 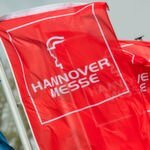 Baumüller is one of the leading manufacturers of innovative automation and electric drive systems. 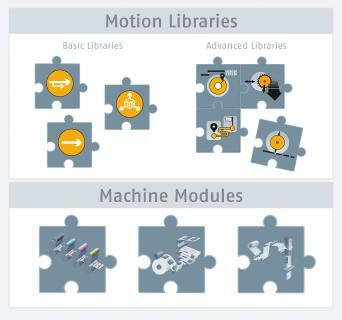 At six manufacturing locations and over 40 subsidiaries spread all over the world, 1700 employees plan, develop, produce and install intelligent system solutions for mechanical engineering and e-mobility; from operation and visualization tools to Motion Control software as per PLCopen, from software modules to controllers, also including converters, electric drives and the whole service range for ready to use automation solutions. The areas service, installations, fitting, and relocation add to the wide range of Baumüller's services. 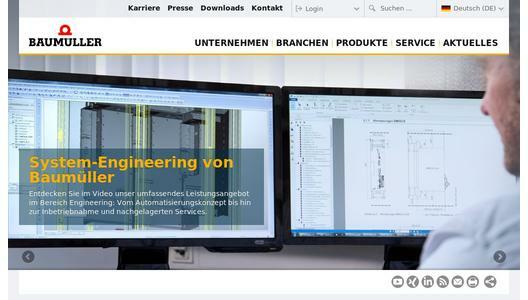 In the mechanical engineering industry, Baumüller is one of the leading partners for automation solutions worldwide.